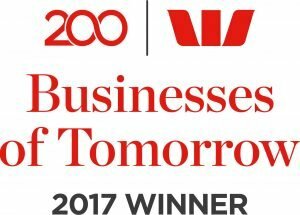 CleverDux and their ‘See & Save’ system have just been announced as one of 200 “Businesses of tomorrow”. Westpac received over 2500 applicants and CleverDux were chosen to take part in a 2 day learning and networking program. “The caliber of businesses involved in the ‘Business of tomorrow’ program was exceptional, I’m really excited to see our company placed alongside these fantastic examples of Australian entrepreneurship” Said Jarrad – CEO and Co-Founder. Chief Executive of Westpac Business Bank David Lindberg says the Westpac 200 summit is an opportunity for the next generation of Australian Businesses to ‘thrive and succeed in a changing world’. Research shows huge decrease in risk.